The electronic duo, David Poole and Dominic Peters are classically trained jazz musicians re-inventing the DJ through an infusion of live instruments and vocals, delivering dynamite live performance, with a fusion of house beats and jazz instrumental interludes, earning them their swelling international house and electronic music fan bases. 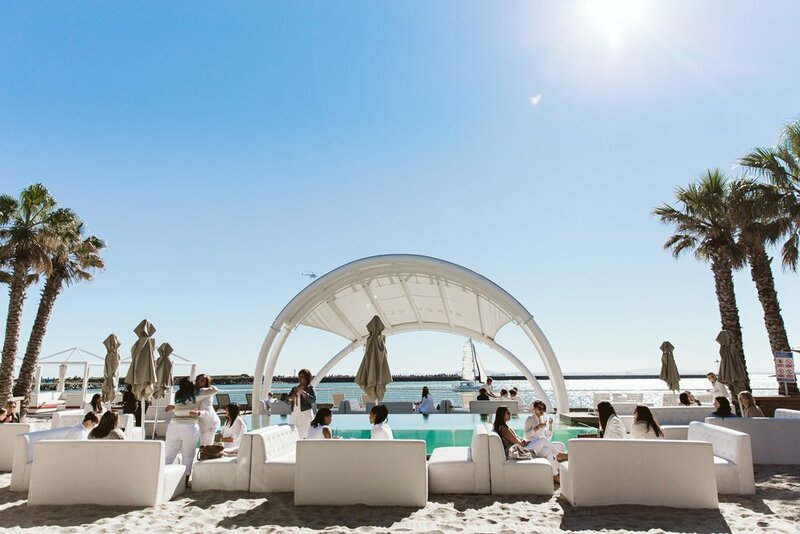 With festival-style food, world-class production and Shimmy Beach Club’s unsurpassed views of the ocean and Table Mountain, Submerged offers more than just a perfectly curated entertainment line-up this summer. Goldfish Submerged will set sail on Sunday, 9 December and will run on 16, 23, 26 and 29 December with the grand finale on Friday, 4 January. Tickets are available to purchase here. General Access tickets grant you access to the main standing areas on the beach and pool deck, as well as the main bar. VIP tickets grant you access through a separate VIP entrance, access to VIP bathrooms, ample unreserved seating, as well as roaming waiters. VIP couch bookings can be made via tickets@shimmybeachclub.co.za.